Added by Bill Bowman on March 1, 2019. 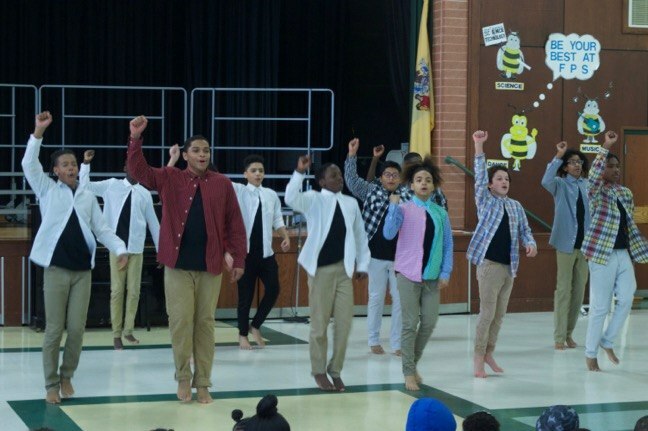 Black History Month was celebrated at Franklin Park School Feb. 28 with musical and dance performances and biographical sketches of famous black Americans. 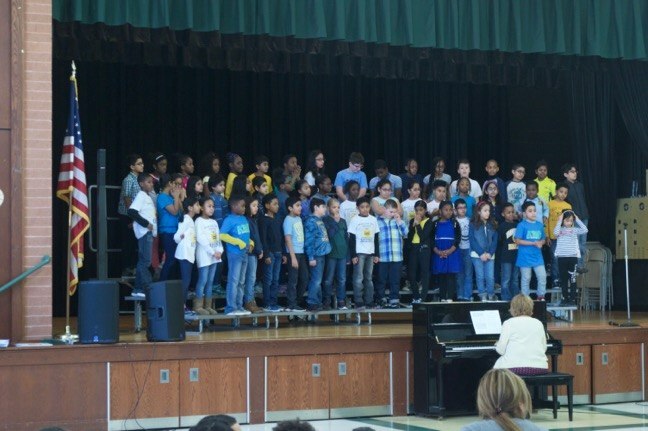 Members of the Franklin Park School Choir sang “Wade in the Water” and “O Desayo,” and students from the Franklin Park School Student College Dancers performed to “Count on Me” by Bruno Mars. 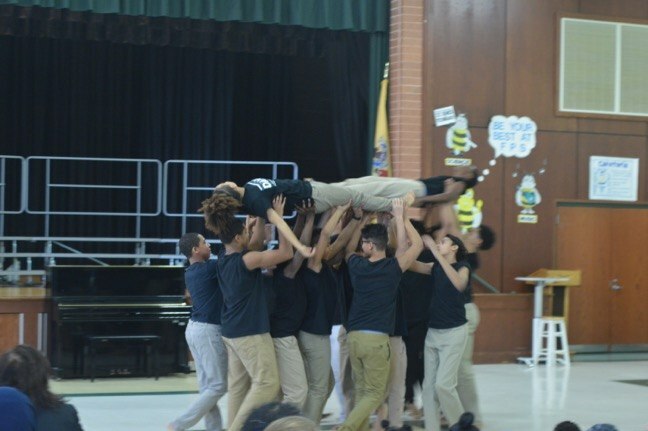 Visiting for the day, on their way to other schools, was the Franklin Middle School – Hamilton Street Campus Advanced 8th Grade Boys and Girls Dancers, who performed to songs such as “Think” by Aretha Franklin, “Unforgettable” by Nat King Cole, “Don’t Let Me Be Misunderstood” by Nina Simone and “Rosie,” an African-American work song. 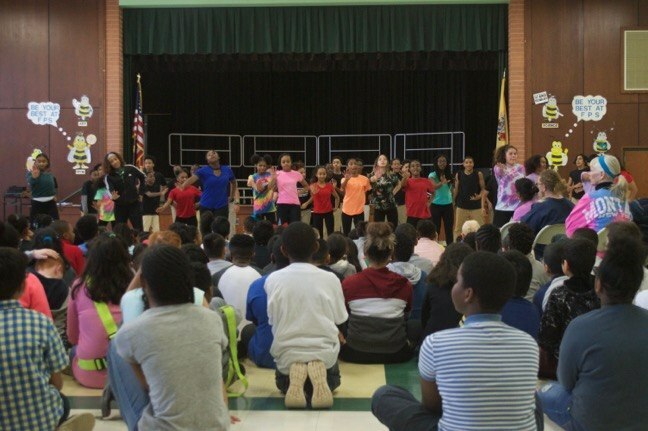 Students also presented biographical sketches of Aretha Franklin, Maya Angelou, Oprah Winfrey, Dr. Mae C. Jemison and Jessie Owens. 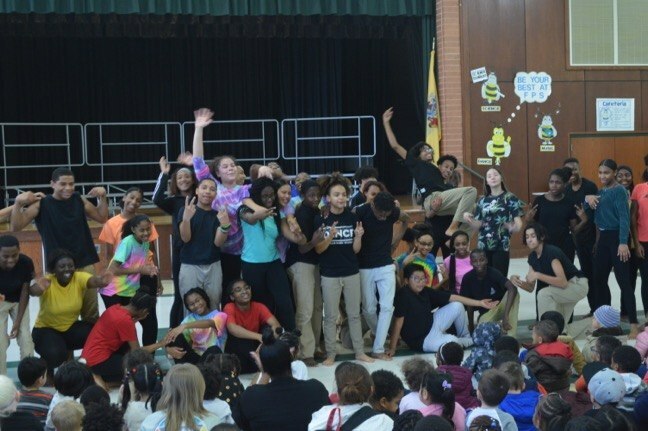 This was at least the fifth year the program has been held, said Nikki Tatum, the school’s vice-principal. 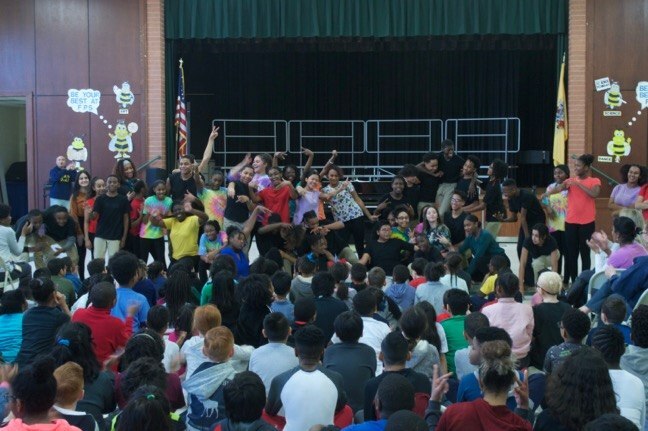 “We invite the Franklin Middle School every year to participate, and we just look at it as an opportunity for the children to hear about famous African-Americans as well as see different parts of the culture through dance, through song so they get all aspects of why we celebrate African-American history, which is a part of American history,” she said. 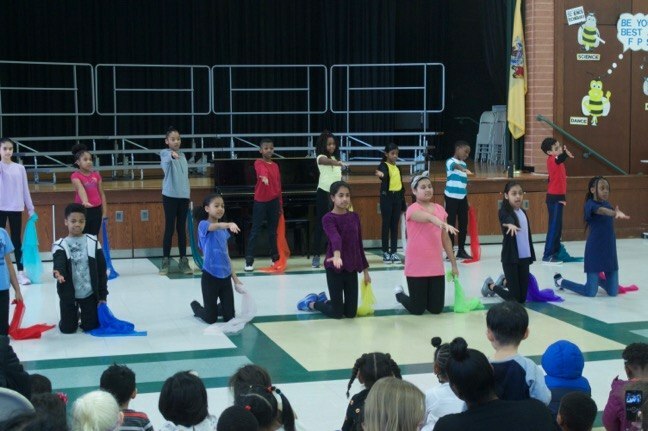 “They do a fantastic job,” she said of the performers.